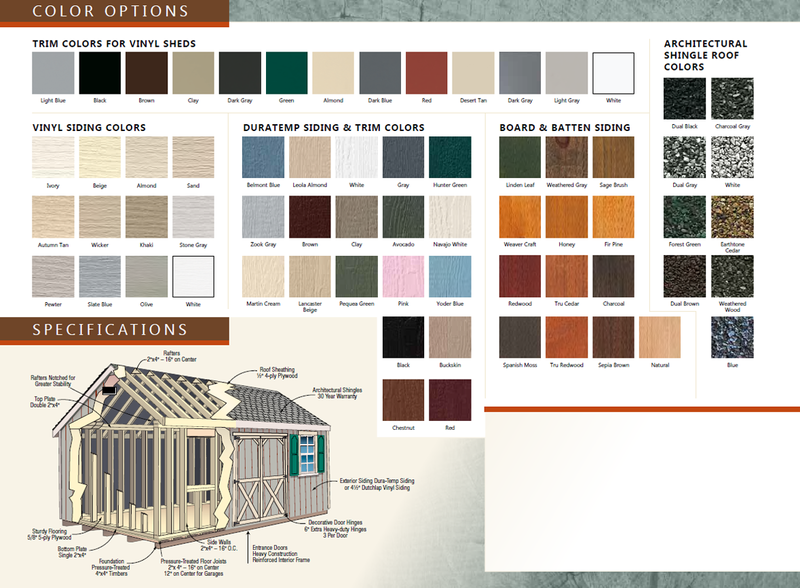 Available with a built-on-site or hinged roof, our Two-Story Gambrel sheds can serve many purposes. Our larger models can serve as a one -or -two-car garage on the first floor that has plenty of room for storage up above. Some homeowners prefer to create a new living area, a home office, or a family recreation area. Other designs have a convenient second-story door and extra windows for more access to natural light. 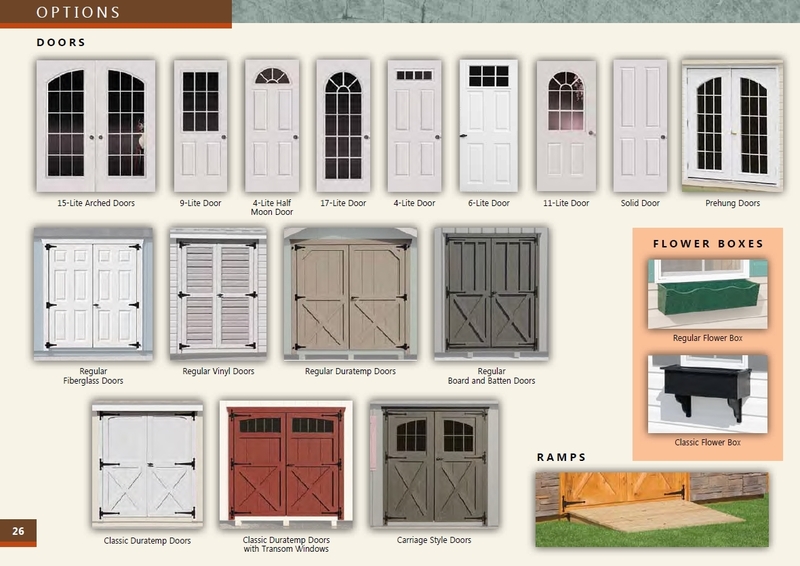 Options include cupolas and extra or customized doors and windows. 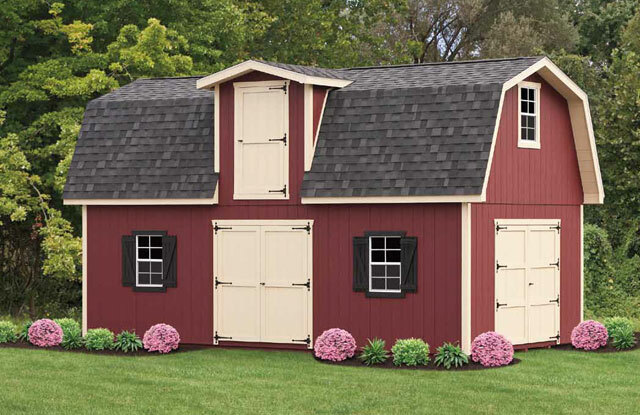 Charcoal gray with Leola almond trim and dual gray with white trim are among the possible roofing options with these sheds. 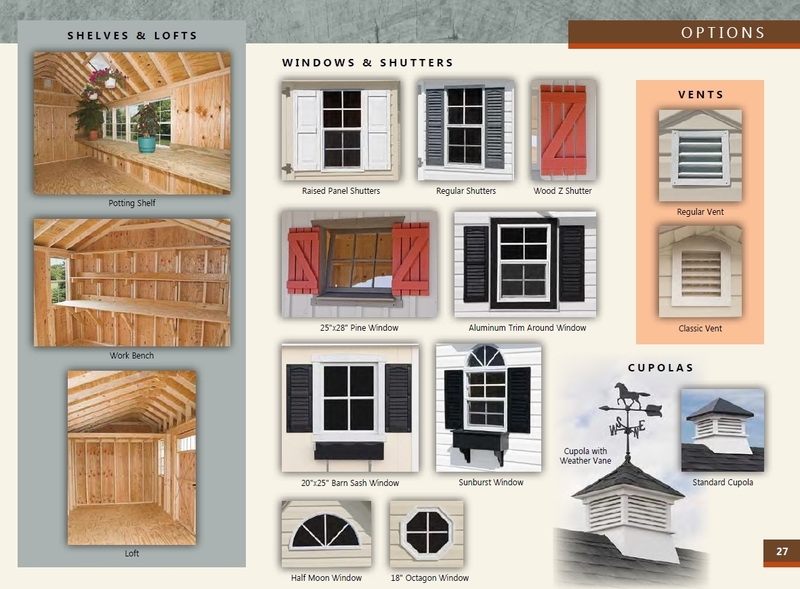 If you have something else in mind, customized roofs are also available.